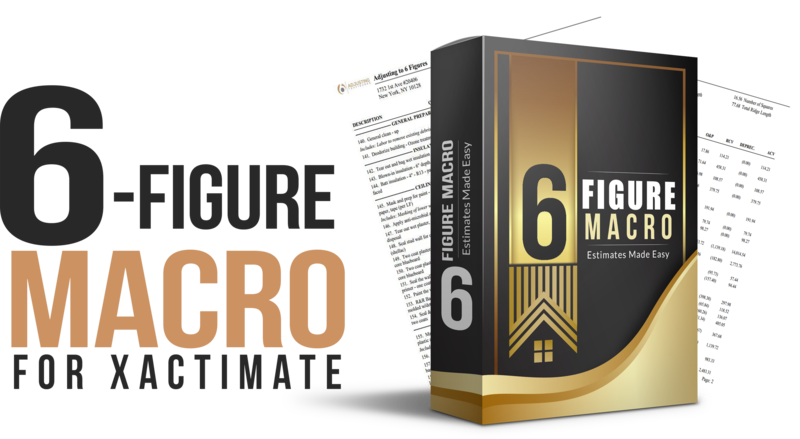 WATCH THE 6-FIGURE MACRO IN ACTION! Most of your competition is "cherry-picking" line items and could care less about presenting reader-friendly estimates to their clients. Instantly structuring your estimates to increase their readability for your client and policyholder. Quickly preparing estimates with most commonly used or often overlooked line items within reach to increase your loss totals. Organizing your line items to promote a clear understanding of your repair process. Submitting estimates with pre-categorized line items to reduce confusion and improve clarity for all parties involved.